When you replace the ‘Comfort’-button with the glass ‘Sport’ switch, you are facing the problem that the red LED inside the switch will be lit in the comfort position and be off in sports mode, which is exactly opposite as it should be. I developed an inverter kit which plugs between the original harness and the glass Sport switch to rectify this problem. 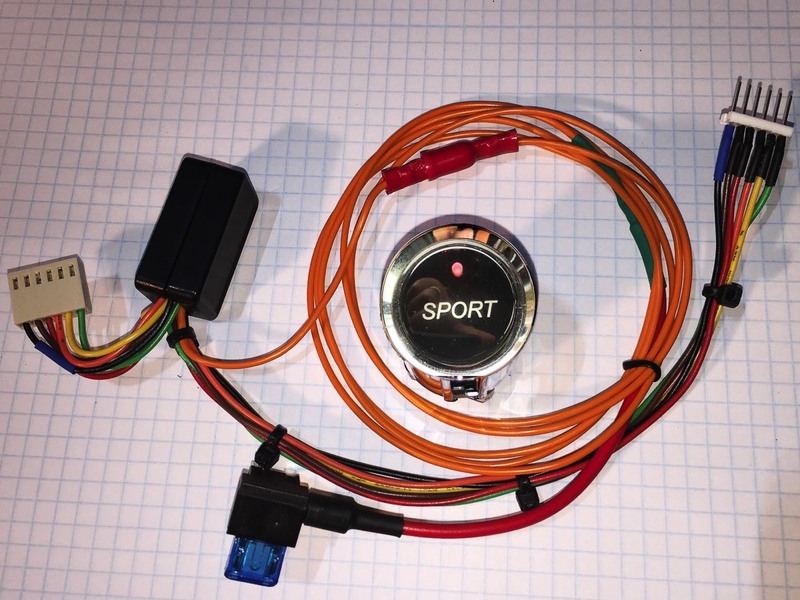 It is a DIY-Kit, easy to install, all connectors fit to the original AM connectors, the tiny box containing the electronics is fixed to the Sport button. All you have to do is to route a wire with a fuse adapter to the cabin fuse box and plug it in. Your Led will be on when you are in Sport mode and off in Comfort mode. To learn my striving for quality visit My Philosophy page. To order this kit click on the "I want it" tab.